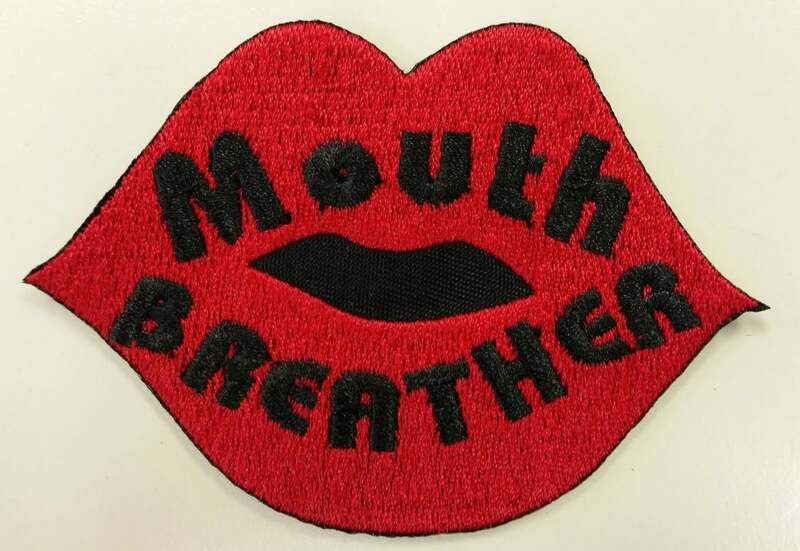 This embroidered mouth patch is inspired by a saying that Eleven from Stranger Things says often.....Mouth breather. It is embroidered with red and black thread and has an iron on adhesive. 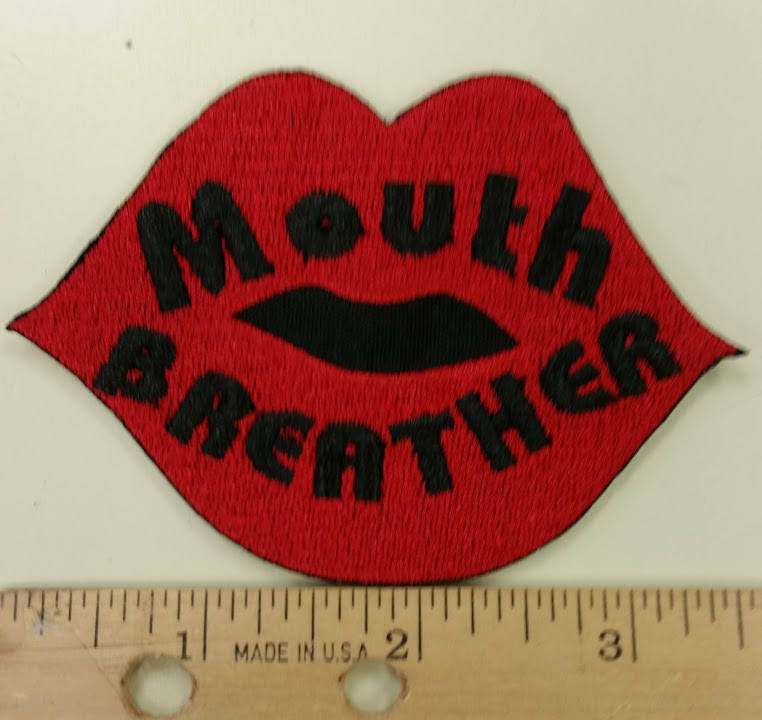 This patch measures approximately 3.5"W X 2.5"H. It's a fun patch to add to your collection or fandom items. Awesome Patch. My 12 year old loves Stranger Things and loved the patch as well. Great quality and color. 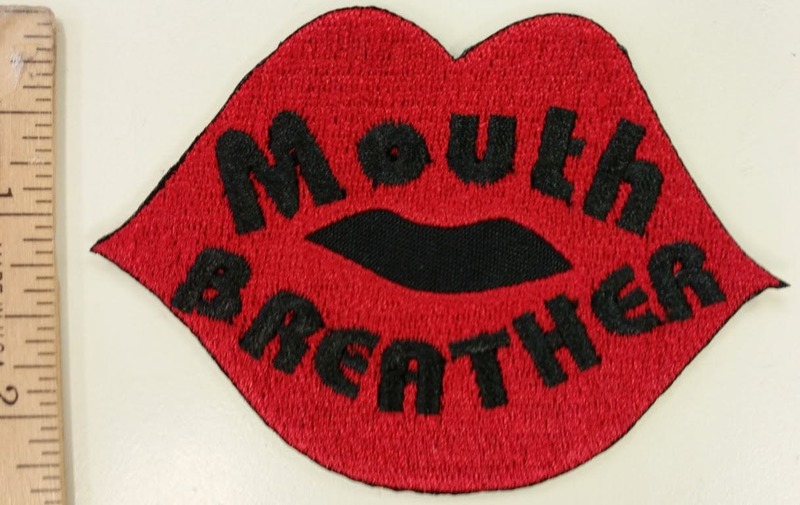 We are very pleased with this patch and would purchase from this vendor again. 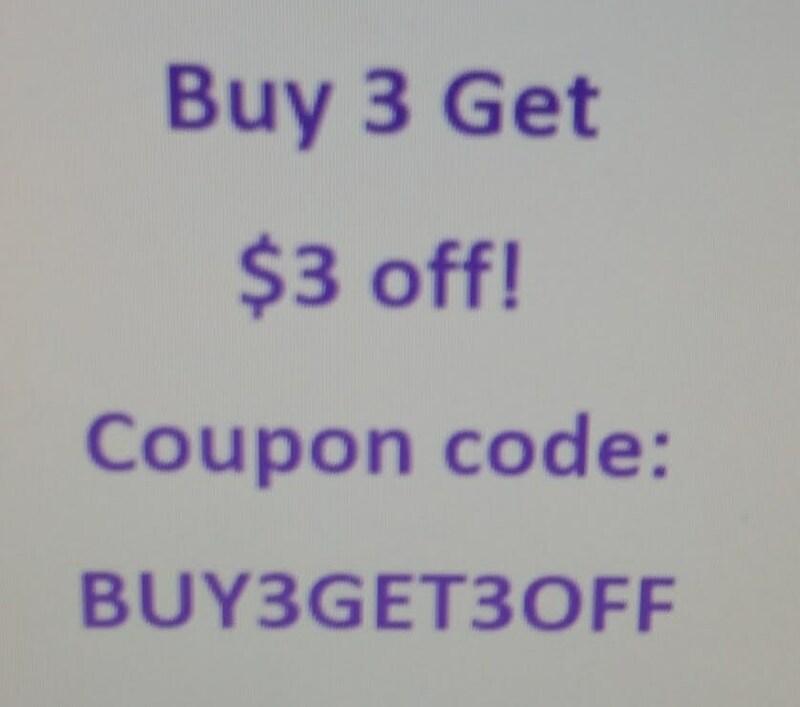 Great with fast shipping too!!! !